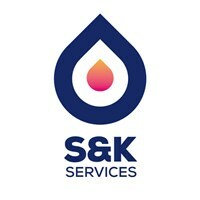 S & K Services - Central Heating Engineer, Plumber based in Jarrow, Tyne and Wear. S & K Services are your local reliable Heating & Plumbing Engineer with over 20 years’ experience. Qualified in both Commercial and Domestic including commercial catering. Boiler, Cooker and fire repair/service and installations, landlord safety certification, all aspects of plumbing and unblocking of drains carried out. For a friendly and competitive service please call. All work is to a professional quality standard and guaranteed. Gateshead, Hartlepool, Hebburn, Houghton Le Spring, Jarrow, Newcastle, North Shields., South Shields, Tyne and Wear, Wallsend, Washington Will consider further distance depending on the type of job!